Size: 20 x 26 cms. 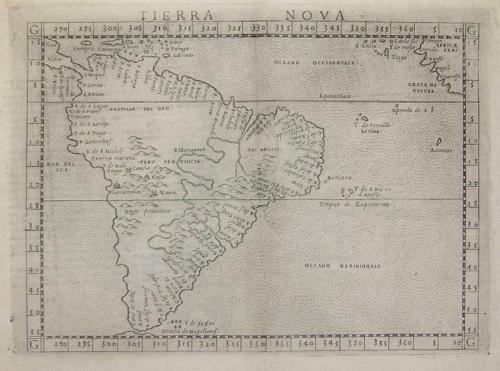 A fine early copperplate engraving and one of the first printed maps of the entire continent of South America. Many places named along the coastlines. Little is know of the interior.